While advancements like LED lights and heat sensitive wallpapers are paving the way for new futuristic possibilities, the modern upgrades we’re interested in this Earth Day are those with an environmental impact. These may include grasscloth, bamboo, cork, natural woods, and the more avant-garde living walls. It also pays to pay attention to sustainable products year-round. According to Total Retail, 45% of millennials say they are influenced to purchase products from environmentally conscious companies. Now, combined with the growing demand for wallpaper decor we’re seeing projected over the next five years, there’s opportunity to highlight the green products and services wallcovering installers offer. Where the only choice for wallpaper was once materials with toxic adhesives and PVC, now we’re finding recycled paper options, rolls made from organic cotton, prints with water-based ink, and solvent-free pastes.To go one step further, there is a nonprofit Forest Stewardship Council certification or FSC-certified paper, which indicates the paper comes from responsibly managed forests. For FSC-certified paper look towards manufacturers like: Graham & Brown, Wallquest, and JiB Design Studio. It’s also a smart move to master hanging sustainable materials like grasscloth and bamboo. These offer texture to a room and have never quite gone out of style. You’ll find these natural materials from manufacturers like Phillip Jeffries. There you can explore how grasscloth and bamboo papers have evolved beyond neutral-only palettes to include in-demand metallics, geometric patterns, and vibrant colors. While grasscloth and bamboo tend to be used to cover a full room, for price-conscious consumers wanting the sometimes pricier environmentally friendly options, decorators may choose sustainable wallpaper to decorate an accent wall instead. Whether you are a seasoned professional or starting out, you’ll benefit from aiming to communicate to consumers how supporting you supports sustainable solutions. You may already have expertise in hanging grasscloth, or a flush network of designers that provide green materials, or maybe you completely differentiate yourself by only using sustainable papers and pastes like National Wallcovering. Either way, it will pay to parse out a section on your Houzz account, website, or on social media to dedicate to how you adhere to the latest in sustainable products. National Wallcovering is a national interior product distributor and they are a leader in the wallcovering industry. They dedicate an entire section on their site to sustainability. Not only do they adhere to LEED point criteria for their headquarters, or Leadership in Energy and Environmental Design, the most widely accepted green building rating system world-wide, they also choose to offer products that are up to NSF 342 sustainability standards. NSF 342 standards is an evaluation system for all types of wallcovering products and covers the entire product life cycle from raw material to removal and disposal. Versa Wallcovering is your go-to for commercial jobs and vinyl papers. They also offer an entire section on their website to sustainability. Versa claims to be the first wallcovering brand to be certified to the NSF/ANSI 342 Sustainability Standard for wallcovering. They earn their certification for sustainability with breathable materials from manufacturers in-line with NSF 342 certifications. They also take a stand against heavy metals and solvent inks. Perhaps the most avant-garde material consumers are seeking are these living walls. Living Wall offers beautiful wall gardens that create healthy indoor designs. They may be the most extreme green offering with their sustainable and low-maintenance living wall system offering. Chances are there is untapped potential for marketing sustainability with the materials and methods you use as a wallcovering installer. When wearing many hats leaves little room for in-depth marketing strategy, we’ve got you covered. 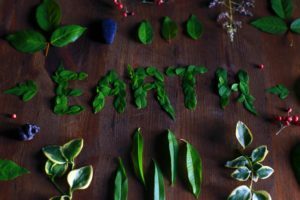 This Earth Day combine inspiration from our examples above with our Selling and Marketing 101 guide & blog post and you’ll be starting off the spring season with an edge.